Family owned and hiring for over 50 years on Mt Buller we have what you need. With around the world staff and the best from Australia, Georges Ski Hire takes pride in a fast and quality service every season. From first timers to the seasoned weekenders, we have the ski or snowboard gear for you. Enjoy the hassle-free conveniece of hiring on mountain, take advantage of our online booking system and give you and your family more time on the slopes at Georges Ski Hire. 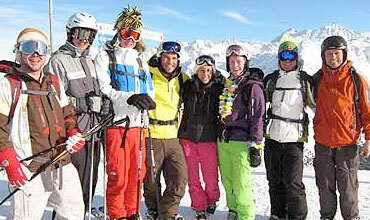 GEORGE'S SKI HIRE is conveniently located in the Village Centre in Athlete's Walk. Check out Mt Buller's WHAT'S ON report - a list of what's happening, lift status, snowfall and what awesome events are coming our way.